Birthday crisis? It's Cake 2 the Rescue! Birthday crisis? It’s Cake 2 the Rescue! Birthdays are a big deal to kids. And while some people seem to throw fabulous children’s parties without missing a beat, most of us are content to focus on the cake. But what if the cake has you feeling a bit overwhelmed? Brisbane-based Cake 2 the Rescue has more than one hundred cake kits with everything needed to make, decorate and display the kind of cake that will have the masses eating out of your hand. For just a little effort you can have a knockout cake while still saving the small fortune it would cost to have it produced by a professional. The cake kits include all the ingredients for your cake (except the milk, eggs and butter), as well as the tools you’ll need, complete instructions and even the cake board and candles. They have thought of everything. The disposable cake tins even arrive already greased. That is ease of cooking, my friends. Just mix the batter, pour it in and you’re halfway there. They even have kits for twins and triplets! Postage costs for your kit are $9.95 within Australia, or slightly more if you’d like express post. 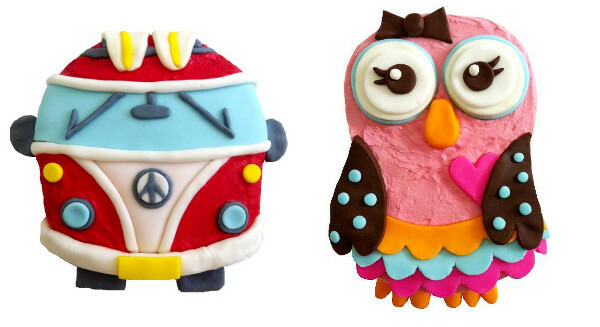 Head over to Cake 2 the Rescue to see all the designs and get the lowdown on where to start. Our thanks to reader Kate for putting us on to this one!